In the future marketing is forecasted to be more personalized. Already now vendors are faced with the challenge how to communicate with the customers equally across all the existing channels. Omnichannel-marketing provides vendors with new possibilities for customer approach. Concurrently, the variety of communication channels significantly complicates the direct communication with prospective customers and requires new marketing technologies enabling to reach consumers on all channels. 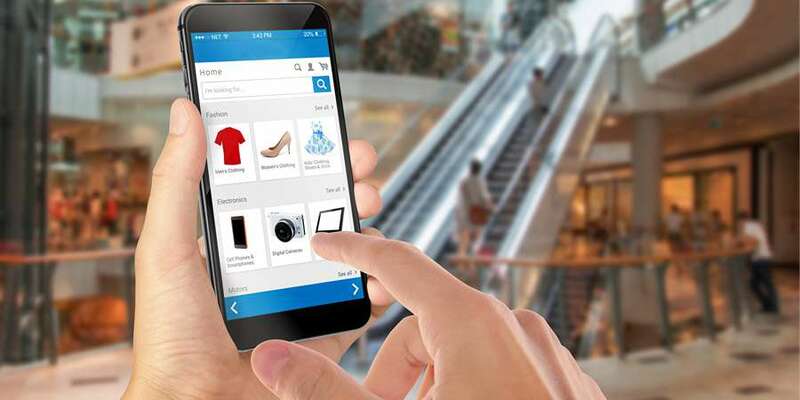 Beacons, first of all in form of Geofencing, play a major role in omnichannel-marketing. Geofencing is a future in a software program that uses the global positioning system (GPS) or RFID (radio frequency identification) to define geographical boundaries. It’s a highly complex technological process enabling to send location-based real-time marketing messages to a user’s smart phone. Hence, retail stores install Bluetooth-Beacons at the shop entry or product shelves. Let us assume, a prospective buyer has already purchased a product on the Internet or just researched about it. When he comes closer to the shop, the Beacon receives a signal via Bluetooth and assigns it to a particular customer profile. The client receives automatically a personalized smart phone message informing about an interesting product or special offers for him. The omnichannel-strategy enables to contact customers across all the channels at anytime. The vendors can use this chance to boost the brand awareness. Geofencing helps to encourage customers to buy your products or services being in front of the shop. Customized newsletters remind the consumers of their favorite products in online-shop and due to the in-store sales app they also receive an individual advice in the store. The modern omnichannel technologies provide vendors with useful statistics and evaluations about customer behavior online and offline as well as the purchase location he usually prefers. This data can be successfully used to create customized purchasing proposals in order to send them via Geofencing just at the right moment. ‘Tailor-made’ advertising campaigns and offers speak to the customers on an emotional level and create positive associations about the brand. As soon as the vendor understands exactly the needs of the target group, he can create personalized and customized loyalty programs. If you know that the customer purchases in online-store much often than in the shop, due to the Geofencing technology you can send him a message with loyalty points or discounts exactly in the time when he passes the shop. Customized push-messages are not the only tool for a successful omnichannel-marketing. A usage of co-called in-store sales representative app can be very useful for the direct communication with a customer. For example, when a loyalty card or a bar code from a newsletter was scanned, the vendor receives information about the loyalty status as well as the customer’s browsing behavior. Based on this data the vendor gets a list of the products the customer may be interested in and can offer them while communicating with him personally. In addition to the personal customer approach the consumer behavior analysis can be utilized for a strategic investment optimization. Omni-channel technologies provide a possibility for analyzing product returns. According to the information the vendors can evaluate and adapt their product portfolios and investments. Need an omni-channel solution? Click here to find out more.